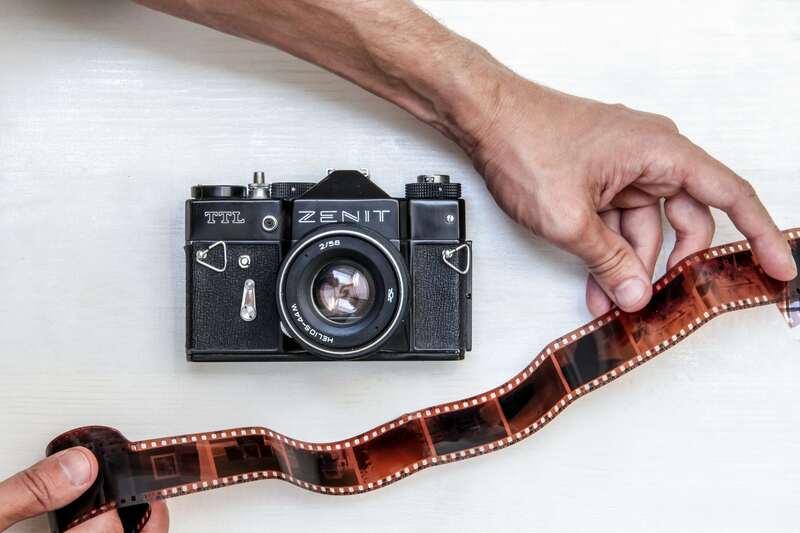 Is film photography a lost art? | Image courtesy: Ozgur Donmaz via Getty Images. 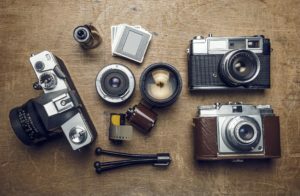 At the time of Adams’ passing in 1984, digital photography was just emerging and with it, a new era in photographic technology began. Gone were the days of limited frames, deliberate planning to get just the right shot, agonizing wait times for photo development, and the joy of flipping through stacks and stacks of memories on paper. Instead, we entered a world driven by convenience, portability, and most importantly, instant gratification (not to say that this is all bad!). As difficult as it may be to believe, the first digital camera hit the market over four decades ago. Now, just a few generations later, our cell phone cameras rarely leave our hands. Photography as we once knew it was forever changed. Film photography is making a comeback. | Image courtesy: Unsplash user NordWood Themes. But if Adams were to fast-forward to present day, he would see that things are shifting. Amidst the hustle and bustle of daily life, there is a global movement to slow down the shutter speed (so to speak) and return to the old days and the old ways. Film photography is making a comeback, and while some manufacturers stopped producing film years ago, several are back at it. It has become a niche, which only makes this community stronger and more passionate about its art. On the forefront of this revival is “a vibrant collective” of 10,000-15,000 photographers—professionals and amateurs alike—who have come together for the love of the art, thanks in large part to a website that came on the scene just 2 ½ years ago. Though many members of this group may have grown up “digital,” the founder of Emulsive.org is challenging photographers to leave their comfort zone and once again embrace film photography. 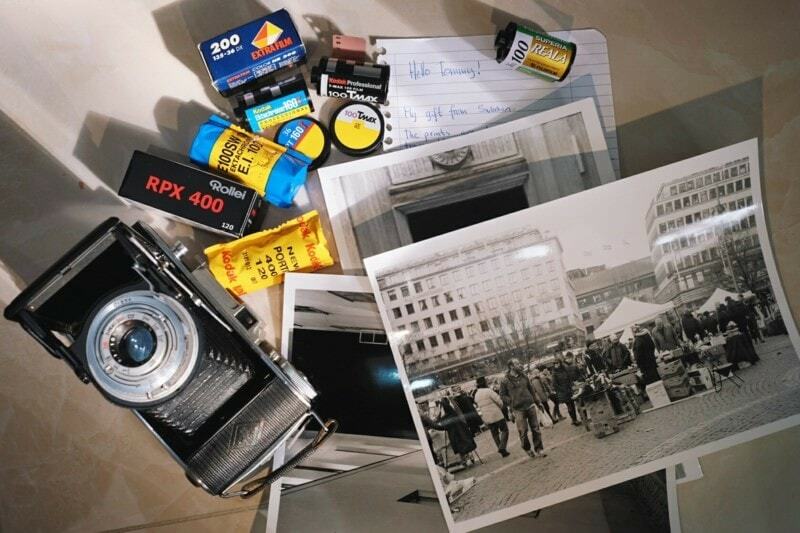 To do this, they host a global gift exchange focusing on gifts for film photographers. Emulsive hosts a gift exchange for film photographers. | Image courtesy: Moni Smith on Elfster. According to Emulsive founder EM—who prefers to be referred to as this anonymous entity so as not to allow others to judge based on name, gender or place of birth—the website started “as an evolution of an idea to share my work and peer input.” The site also serves as a soapbox for photographers, as they can post reviews of equipment and share educational and technical articles. Emulsive is a space for film photographers of all ages and backgrounds to share their knowledge, experience and thoughts about everything related to film photography. We review film stocks and film cameras, publish essays and photo stories; and are the home of the EMULSIVE Interview, a series of interviews with film photographers the world over. 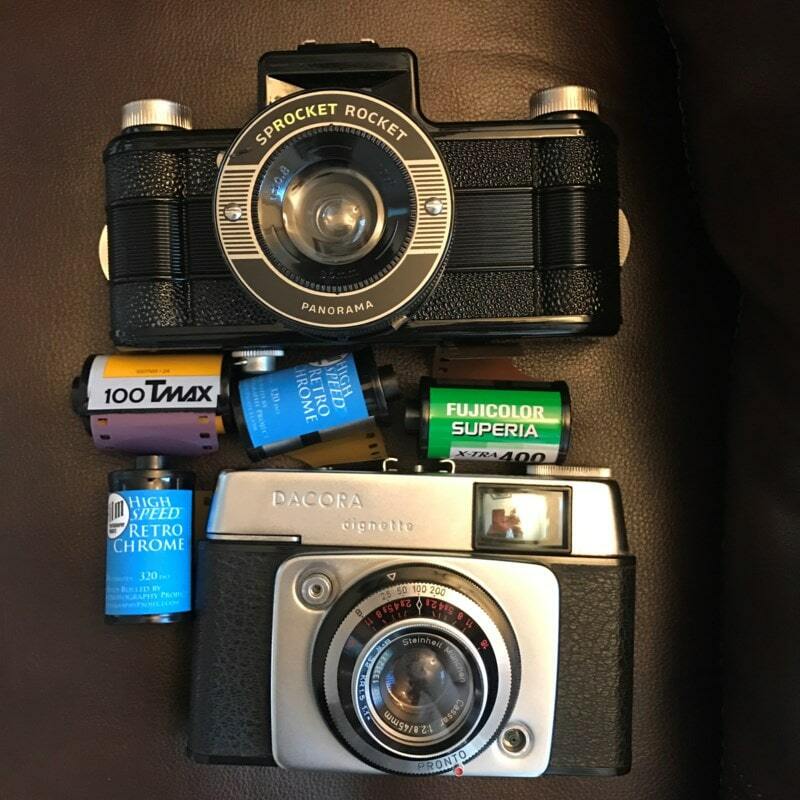 We also get involved with and help support various film related events such as Holga Week 2016, #FP4Party, The EMULSIVE Secret Santa (now in year three), and Expired Film Day 2016. Presents for a film photographer! | Image courtesy: emulsive.org. 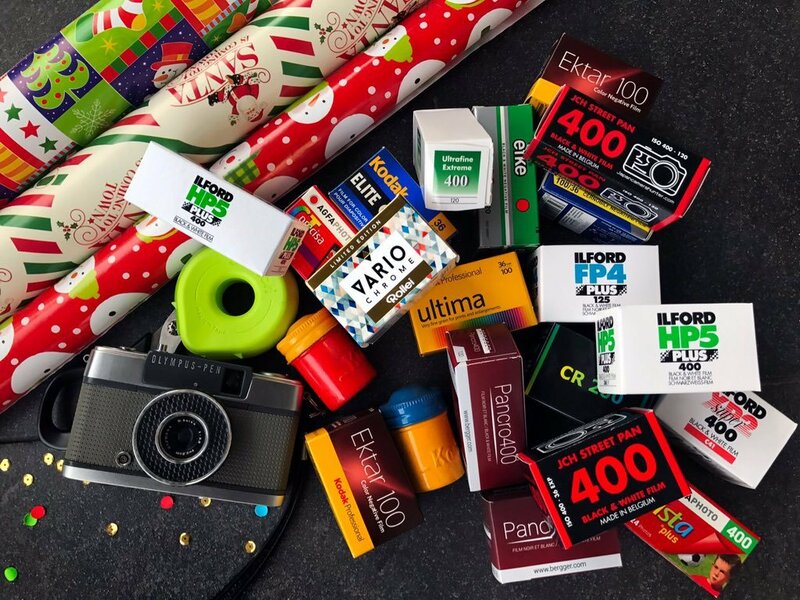 This holiday season, Emulsive will once again host the world’s largest annual film photography gift exchange, bringing the global community together in an epic exchange for over 460 participants (and counting), spanning 43 countries. EM admits organizing this large exchange is a true labor of love. There are challenges in taking on the role of Santa with “no sleigh, no cookies, and no milk,” but those are outweighed by the joy of the “knowledge transfer” that takes place within the community. Secret Santas hard at work! | Image courtesy: emulsive.org. Since film is often hard to come by these days, the gifts for film photographers in this Secret Santa exchange range from weird and hard-to-find rolls of film to exhibition prints and maybe a few extra goodies. EM expects presents to be wrapped nicely and encourages participants to “Get Creative!” And with a suggested budget of at least $10, it’s all about encouraging one another and spreading the word in this artistic community. And speaking of blowing the budget…EM shared the story of one of the most remarkable and generous gifts perhaps ever exchanged on Elfster. 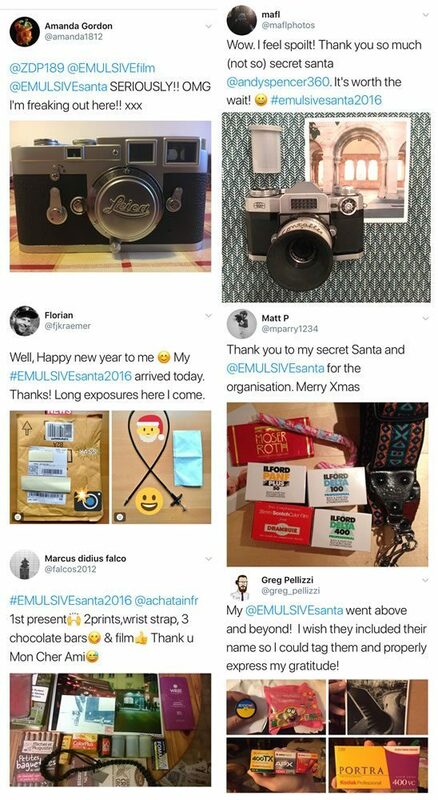 Emulsive unites photographers worldwide. | Image courtesy: Tommy Chong on Elfster. Not only do these gift exchanges bring together the photographers, but it also unites the industry side with the community side. Every year, EM seeks sponsorships from the film industry to provide a few bonus gifts for participants. This year, there are 12 sponsors for the gift exchange, who will each provide three goodie bags that will be sent to random participants. Details are kept secret until closer to the draw, but this year’s sponsors are Carmencita Lab, Dubble, Eastman Kodak Company, FILM Ferrania, ILFORD photo, Japan Camera Hunter, Kosmo Foto, Parallax Coop, Silberra Film, Shoot Film Co, Solarcan, and Ultrafine. EMULSIVE NEEDS YOU. The driving force behind EMULSIVE is knowledge transfer, specifically engendering more of it in the film photography community. You can help by contributing your thoughts, work and ideas. Help drive an open, collaborative community–all you need do is drop us a line and we’ll work something out. Looking for a great way to spread a little generosity in your own community? Organize a free, online Secret Santa-style gift exchange with Elfster. It just takes minutes! Want to connect with the elves at Elfster? You can reach us via Facebook, tweet us @Elfster, or catch us on Instagram at @Elfstergram.